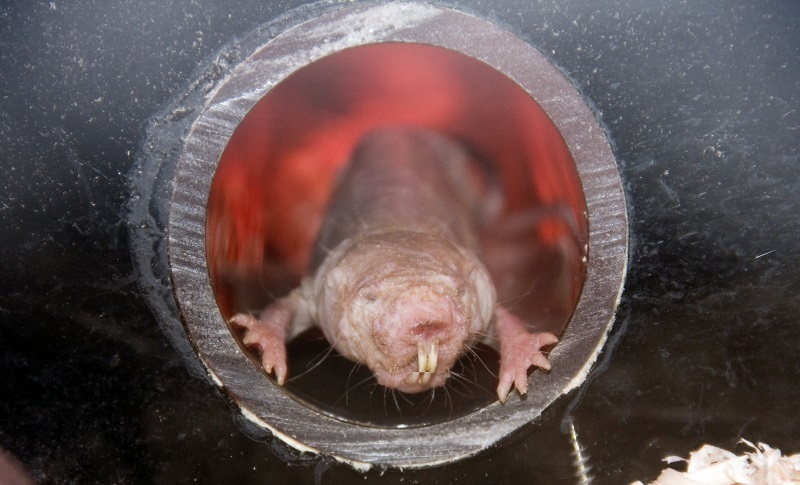 The researchers followed the naked mole rats – housed at the Buck Institute – over a three-decade-long study period. They found that these creatures show hardly any signs of aging, such as problems with their metabolism, heart, or bones. Females do not go through menopause and continue to reproduce into their 30’s. An amazing feat for an animal that lives to live at least 30 years of age in captivity. Small rodents the size of the naked mole rat live for no more than six years. Even the cells in their bodies have a remarkable resistance to oxidative damage caused by free radicals. Senior Principal Investigator on the study is Rochelle (Shelley) Buffenstein, Ph.D. who spent the early part of her career at the Medical School of the University of Witwatersrand, in South Africa, where she studied the naked mole rat for ten years. Principal Investigator J. Graham Ruby, Ph.D. received his doctorate in biology from MIT and performs biometric, biostatistical, bioinformatic, and quantitative genetic analyses of diverse data to decipher the aging process in humans and model organisms. The researchers published their results on Jan 24th in the open access journal eLife. The naked mole rat – a ” non-aging mammal ” Credit: Shutterstock. This is astonishing given that all other mammals, including humans, face an increased rate of death with each passing birthday. Consider the hazard chart for US citizens in 2003, shown above in which the mortality rates increase exponentially with age after the age of 30. In contrast, the equivalent chart for the naked mole rat is almost flat. Caleb E. Finch and Hiram Beltrán-Sánchez, a pair of expert scientists from the University of Southern California (USC) in Los Angeles analyzed and commented on the study. Caleb E. Finch, Ph.D. is a molecular biologist in the Leonard Davis School of Gerontology and Dornsife College and has previously appeared in an article on this website. Hiram Beltrán-Sánchez in the Department of Community Health Sciences and California Center for Population Research. Finch and Beltrán-Sánchez said that the minimal age-related problems of the mole rat combined with its long life-span allow it to achieve ‘negligible senescence,’ a phenomenon in which an animal reaches an advanced age without increased mortality or disability. Other scientists believe that the longevity of naked mole rats is due to the limited oxygen of its subterranean habitat. Because of this environment, its metabolic rates are abnormally slow, and an abundance of repair mechanisms keep their cells astonishingly youthful. This article appears in the monthly summary of the life extension discoveries of January. 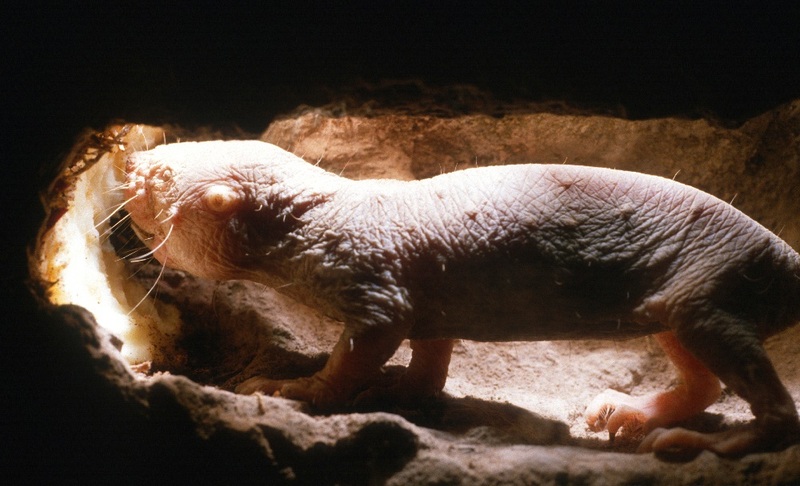 A related article shows you how the naked mole rat mostly avoids cancer. Google’s Calico Labs is hoping to outsmart death. Until recently, this 1.5 Billion dollar biotech startup has been cloaked in secrecy. However, this report reveals what Calico Labs has been up to lately. Cover photo credit: Naked mole rat, the only non-aging mammal. Credit: Shutterstock. J Graham Ruby, Megan Smith, Rochelle Buffenstein, Calico Life Sciences LLC. “Naked mole-rat mortality rates defy Gompertzian laws by not increasing with age.” eLife 2018;7:e31157 DOI: 10.7554/eLife.31157, Jan 24, 2018. Link to article. Hiram Beltrán-Sánchez, Caleb Finch. 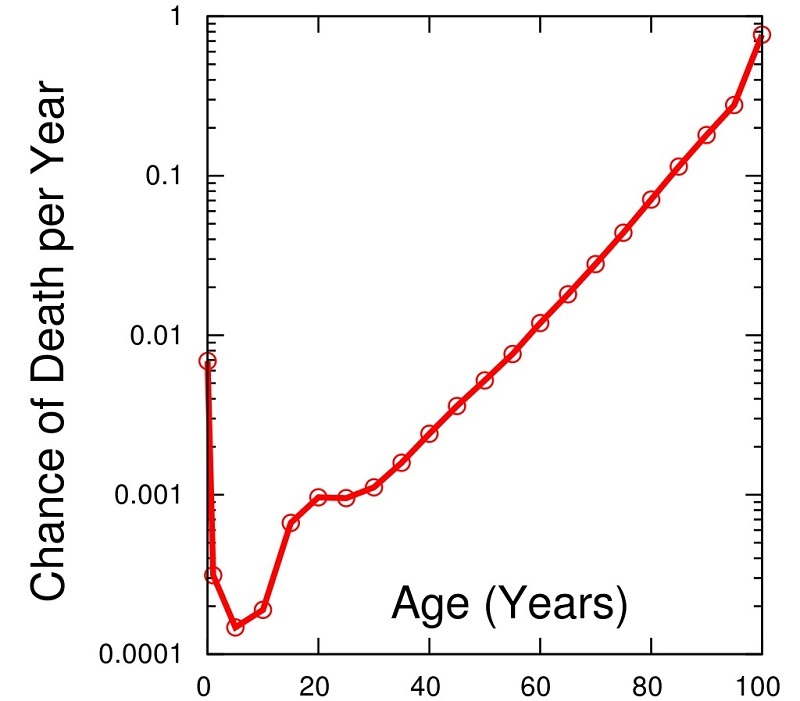 “Life Expectancy: Age is just a number.” eLife 2018;7:e34427 DOI: 10.7554/eLife.34427 Jan 24, 2018. Link to article. If it was simply about low oxygen slowing ageing down, there would have been a Gompertz-Makham exponent anyway, just with a longer time of doubling. Such exponents can be detected in a small fraction of an organism’s lifespan, for example the risk doubles every 8 years for humans. Something else is going on here. Yes, Martin I think these mammals have a host of genetic protective mechanisms. yeah sure , great discovery. now lets torture, disfigure, clone, and kill a few hundred of this animals just to find a way for rich people not to get old. bravo. Tell Google if they need a test subject I’m game. I like your comment. thumbs up!